Back in April, some Google users in a variety of countries started seeing green ad labels for paid promotions on Google search results. We in the Cosmic office did not see these, but Google has now announced that the new colour is being rolled out globally to all Google users as we speak, so you should start seeing the green "Ad" labels instead of the original yellow ones soon. We can now see these on our search results - our initial thoughts are that they don't quite stand out at much as with the yellow, and that a regular user who may not be too au fait with pay-per-click advertising may not notice the tag at all and therefore consider it as a regular search result. 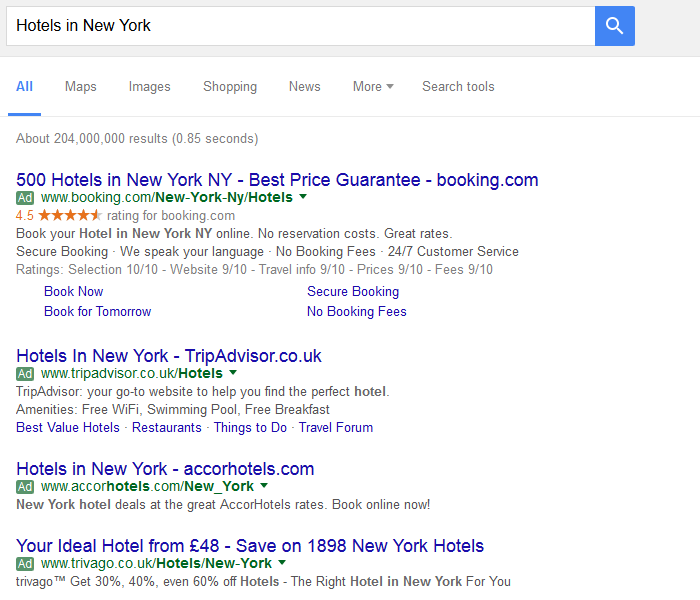 It would seem that using the same shade of green as the displayed web address (URL) for the ad label would make it easier to miss, but Google says it studied whether the change in colour had any impact on users being able to distinguish paid and organic listings and found none at all, which it says was the overall aim. “We regularly test ways to improve the look and feel of our search results page. 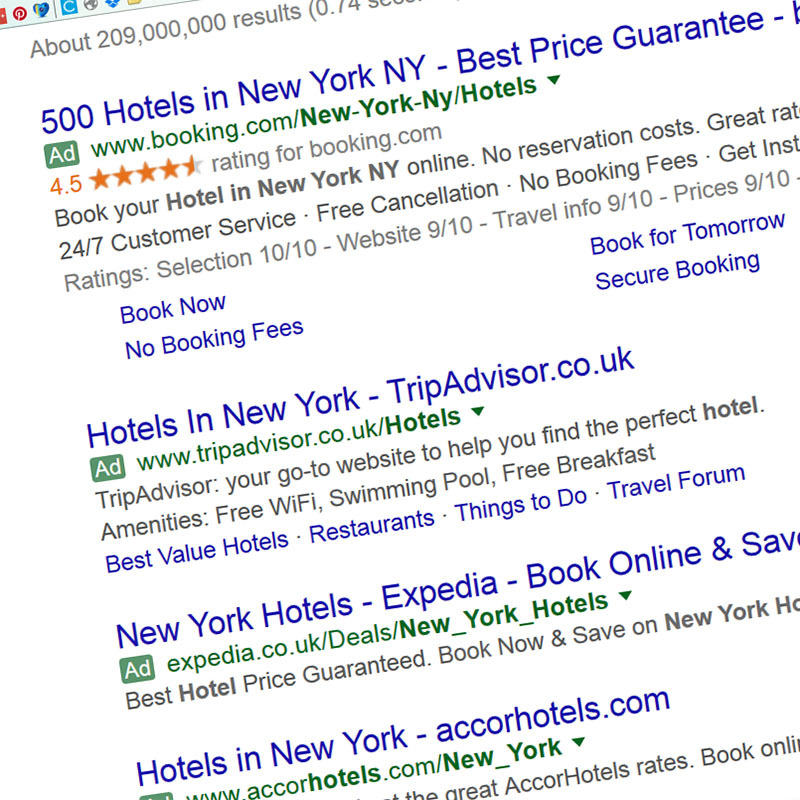 We’ve been experimenting with a green search ad label and have decided to roll it out based on positive feedback from users and advertisers. Our goal is to make our results page easy to use and our labelling clear and prominent” a Google spokesperson said. These changes also have an effect on mobile search results which are styled in the same way. You can see an example of this in the gallery below. Google says the green labels will roll out to all devices globally, so if you’re not seeing it yet, you soon will.